All the writing advice says your first chapter has to be perfect. It has to draw the reader in from the first line, introduce the main character and antagonist, give a feeling of the story setting and tone, give the main character’s goal, and ignite some conflict. And while you’re doing all that, you better not bore the reader for even a second or they’ll put your book down and never discover that twist you put in chapter 10 that would have showed them what a brilliant writer you are. Whew, sounds like a lot doesn’t it? That’s because it is a lot. So much rides on the first chapter that it makes us freak out when we go to write it. We spend forty minutes trying to make that first line perfect. By the time we’re done with that, we’re ready to quit (especially if we are writing during NaNoWriMo and have a daily word-count goal to meet). We’re having trouble writing one line. How are we going to write a whole chapter and after that a whole book? The beauty of NaNo is that it forces you to keep writing even if your writing is crappy. There’s just too much to cram into a first chapter for you to get everything on the checklist the first time around. That’s what the second and third drafts are for. The challenge is remembering that as you write that first draft of the beginning chapter. Especially if you’ve written a book before. Why? Wouldn’t writing a book before make it easier to start another one? You would think so, but I actually found it harder to be satisfied with the beginning of my story this time around than when I was writing The Hashna Stone this time last year. Maybe it was because I’d spent a lot more time discovering the world and characters of my first story so it was easier to get into it from the first chapter. Maybe it was because it’s been a whole year since I’ve written a first chapter and I’ve forgotten how messy they can be. Whatever the reason, I couldn’t get the chapter to come together at all. The whole thing ended up being a list of everything a first chapter shouldn’t have. I didn’t describe what the main character looked like. I spent paragraphs describing her sisters. There wasn’t much actually happening in the chapter. A good 2,000 to 3,000 words (which was half the chapter) was the main character’s thoughts. And I did a lot of telling when I should have been showing. But guess what? I’m glad I did it. Yep, you heard me right. My first chapter was a total disaster and I don’t regret it at all. Once the first chapter was out of the way, I could get on with the rest of the story (which I like to think is better than the first chapter). And once I got on with the rest of the story, I could discover things about it that I would need to foreshadow in the first chapter. The thing is, I could have rewritten the first chapter 7 times and never gotten it to the point it needed to be if I never wrote to the end. I don’t know if this is a writing rule, but it’s nice when the beginning of a story foreshadows the end or having the end in someway mirror the beginning. A simple example of this is in a short story (more like flash fiction I guess) that I wrote a few years ago very creatively called Red. Red–the color of roses, the color of love. It was also the color of danger. I didn’t see the danger though. Red is the color of roses. It is also the color of lies. My color is no longer red. For a novel-length story, you might not want to have such blatant foreshadowing of what would happen in the story or such exact mirroring in the first and last lines, but you get my meaning. Sometimes you can’t write the first chapter until you’ve written the last. And to get to the end, you have to write the beginning. Even if it’s terrible. Endings are the hardest for me in every form of writing. I’ve struggled with endings since middle school when we start writing essays. Ending are hard! 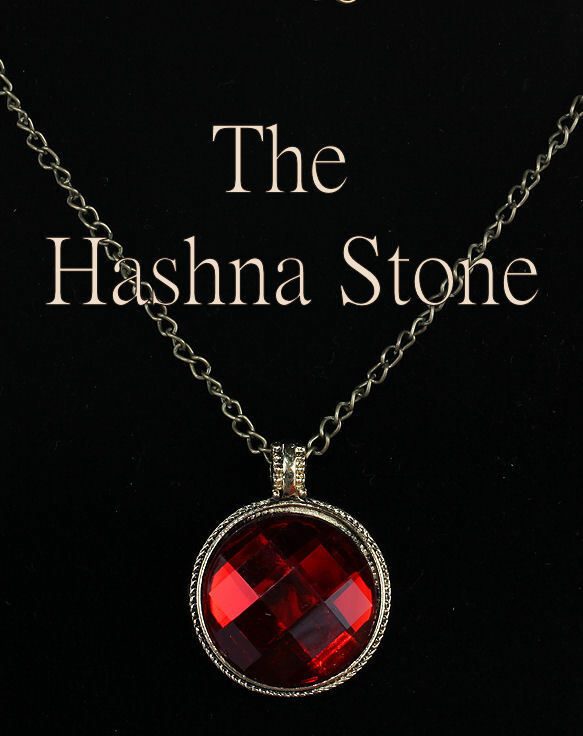 When writing the first draft of The Hashna Stone, I had no clue how it would end. It’s taken me four drafts to get an ending I like. The END seems to give me the most trouble. I try to write short stories under 1,000 words but can’t wrap it up until I’m in about 2,500. I have stories that I’ve stopped in the MIDDLE. The idea was great but the creativity died in a corner. The good thing is I can put those stories on the shelf until an idea comes to write myself out of that corner. Endings are pretty difficult as well. When I started writing The Hashna Stone I had no clue what the ending would be. It took my four drafts to get an ending I was happy with. I guess there are challenges with every stage of writing. This talks to me a lot! And also remind to not 100% believe that every first chapter must be magnificent. Catchy? Yeah, maybe but is not all. Also because I think is hard to judge a book by its first chapter. Sometimes the fear of not being able to write the perfect chapter can paralyze us from actually writing. First chapters are important, but it’s also important to remember that you can draft and redraft until it’s good. I absolutely agree — worrying about getting the perfect first chapter in the first draft is a total waste of time. For all you know, once you finish the whole book and have a better sense of it, that won’t even BE the first chapter, but actually chapter 3, or maybe cut altogether. And that’s the whole point of NaNo: to stifle our inner editor and get us to just get all the ideas down on the page. Plenty of opportunity to fine tune and think about the “rules” later. Exactly. If you never start writing because you’re so worried about making the first chapter perfect, then there will never even be a story. Better to have a so-so or even terrible first chapter and get things going then to spend a couple weeks going over the same chapter: a chapter that might not even end up in the next draft. A newer writer in one of my critique groups kept bringing in revisions of her first three (short) chapters. It took some convincing to get her to accept that yes, we still had feedback on those chapters, and yet she should mark them down and then keep writing, or she’d never see where the rest of the story goes. I don’t think it’s bad to make corrections right then. The problem is stopping there and getting feedback on the revised chapter over and over, instead of moving on to the next one. And in some cases it’s really useful to get feedback on those early chapters, because your critique partners can ask questions about where you’re going with it that help you to steer the later chapters in a more productive direction. Did you attempt NaNo this year? I did. I’m so behind though….